Browse here for communications and networking needs for your application. 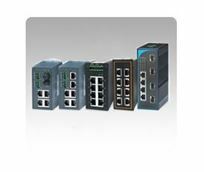 We offer a wide range of reliable industrial networking solutions for the industry 4.0 Smart Factory applications. 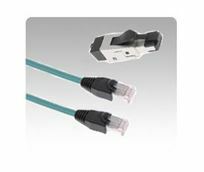 Choose from a wide selection of ethernet switches, media converters, modebus, serial device servers, USB cables, RJ45 cables and many more. Vareity of options available including managed, unmanaged, industrial grade, ultra-compact, DIN-rail mount, multi-ports, Power over Ethernet (PoE), gigabit options, etc. All of the communications and industrial networking products are designed to withstand harsh and extreme environments while adhering to industrial network design, compliance, and performance requirements.